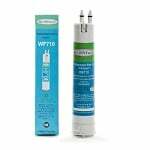 Viking humidifier filters clean the water entering your humidifier of unwanted contaminants, keeping your home's indoor air fresh and clean. 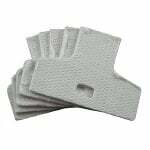 The Viking 880 HUmidifier Replacement Plates 5 Pack are universal fiberglass humidifier plates for your Viking Humidifier. These replacement plates are 100% glass that features a high moisture output, increasing the productivity of your humidifier. 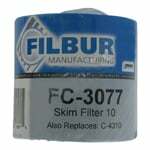 The Filbur FC-3077 Replacement For Viking Spas PWW10 Pool Filter Cartridge is a pool filter cartridge that purifies swimming pool and spa water through through 10 sq. ft. of media area. The dimensions of this spa filter replacement are 4 1/4" x 4".